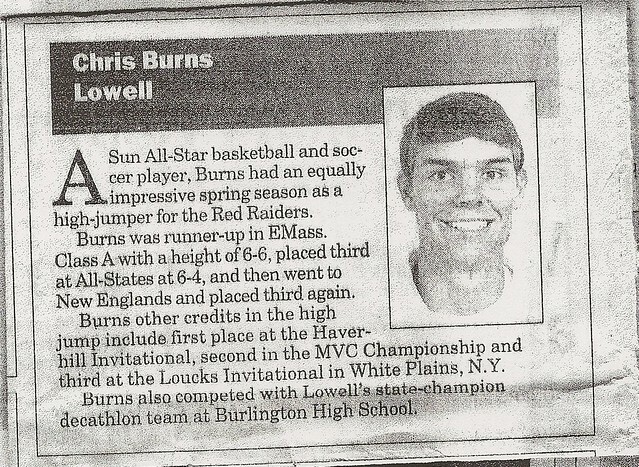 A truly versatile performer in an era of increasing athletic specialization, Christopher W. Burns won a variety of honors representing Lowell High School in three different sports. Chris continued his exploits in college, achieving the rare distinction of being a two-sport athlete at the NCAA Division I level. 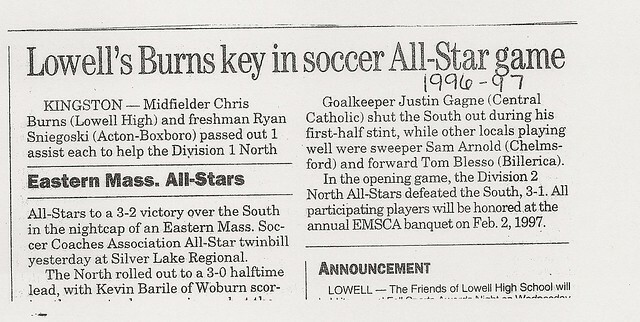 A three-year member of the Lowell High School Soccer team, Chris developed into one of the Merrimack Valley Conference’s most outstanding forward/midfielders, scoring 10 goals and 10 assists as a senior team Captain in 1996. 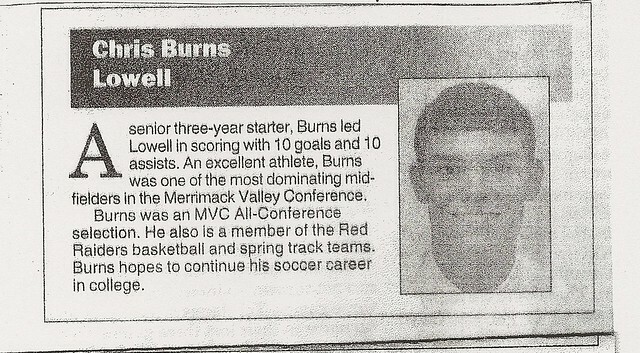 The team’s MVP, Chris was named an MVC All-Conference selection. 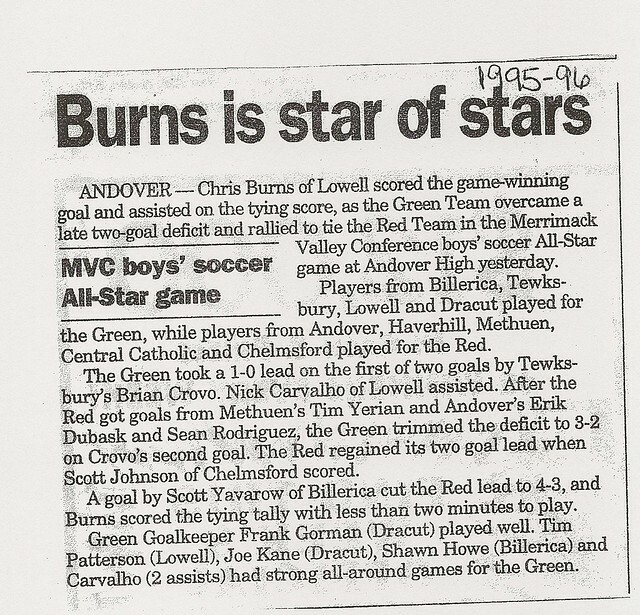 Chosen by the EMass Soccer Coaches Association as an Eastern Mass All-Star, Chris recorded a key assist to help the North squad to a 3-2 victory over the South in the Coaches Association All-Star Game. As a three-year starter on the Red and Gray Basketball team, Chris was a force around the hoop. He totaled 465 career points and 399 career rebounds, the latter total 4th on the all-time LHS list. Except for a fractured ankle that sidelined him for virtually his entire junior season, Chris would undoubtedly rank significantly higher on both the scoring and rebounding career lists. 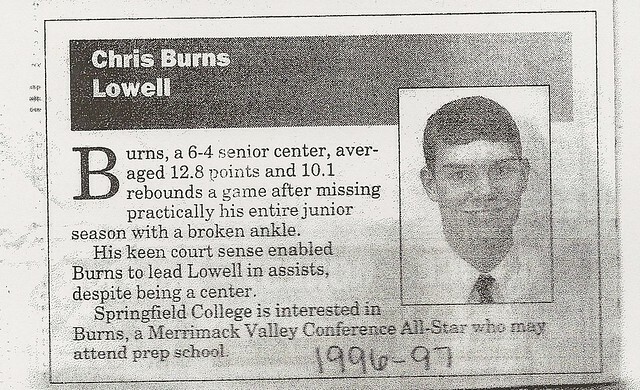 Chris capped his LHS hoop career as a senior team Captain (1996-97) by averaging 12.8 points and 10.1 rebounds per game while leading Lowell in assists, despite playing the center position. 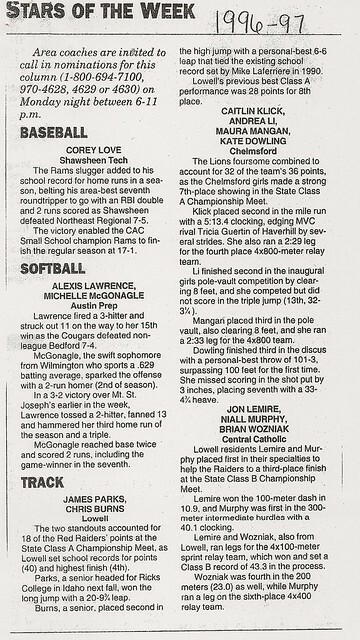 Over the course of his three-years as a member of the LHS varsity track team, Chris developed into one of the premier scholastic high jumpers in New England. 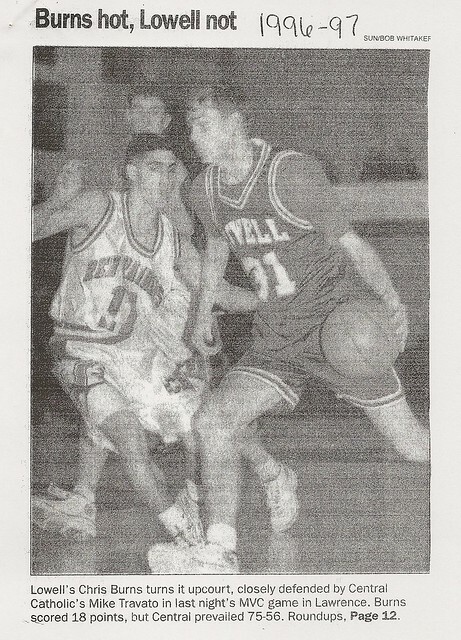 As a senior (1997) he placed 2nd at the MVC meet, 2nd at the Eastern Massachusetts Class A Championships, 3rd at the Massachusetts All-State Championships, and 3rd at the New England Championships. 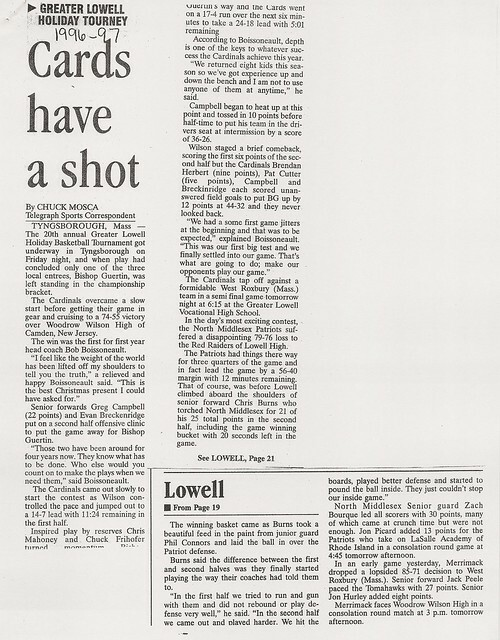 Along the way Chris established a Lowell High School record of 6 ‘ 7″. Chris was also a member of the Red and Gray State Champion Decathlon team. Chris’s all-around athletic ability is illustrated by his status as an MVC All Conference and a Lowell Sun All-Star selection in all three sports during his senior year. 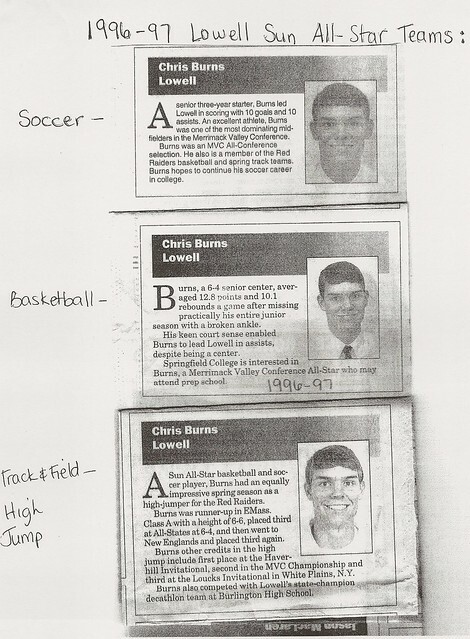 After graduation, Chris attended Worcester Academy, where he again was a three-sport athlete. 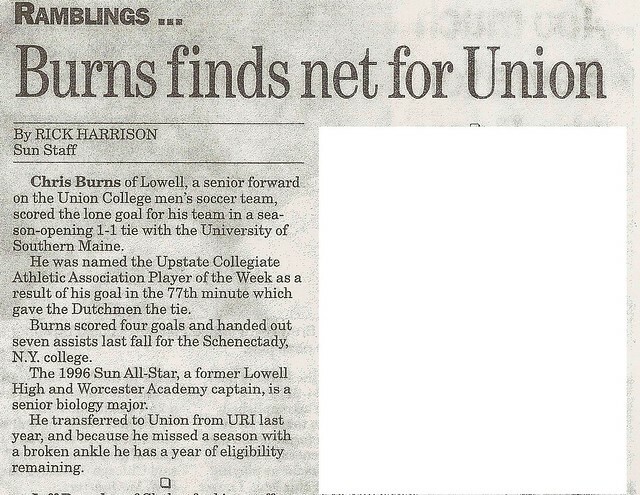 Captain and MVP of the Soccer team, Chris was an All-New England Prep School selection. He set a Worcester Academy school record of 6’6″ en route to a 2nd place finish in the high Jump at the New England Prep School Championships. 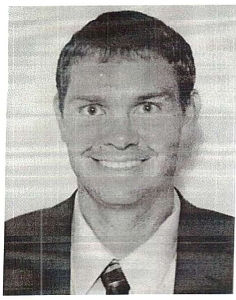 Upon graduation, Chris attended the University of Rhode Island. As a freshman, he placed 7th in the high jump at the Atlantic 10 Conference Championships.